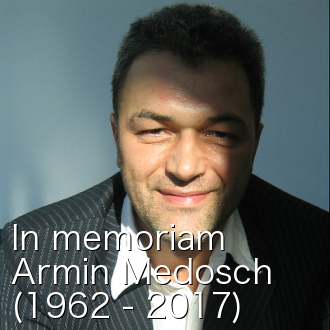 Armin Medosch has worked as artist, curator and author in media art and network culture since the mid 1980s. He has been founding editor of the award winning international online magazine Telepolis. He has a proven track record as cultural organiser with good networking and collaboration skills from large exhibitions such as Telepolis, Luxemburg 1995; and from collaborative curatorial projects such as Kingdom of PIracy (2001-1006), together with Shu Lea Cheang and Yukiko Shikata; the large-scale international exhibitions Waves (Riga, 2006; Dortmund, 2008); he has edited and written numerous books and articles in German and English and acted as convenor of conferences, symposia and workshops. Recently, he has validated his skills in the academic sphere, and in 2012 has been awarded the degree of Ph.D. in Arts and Computational Technology (ACT) at Goldsmiths, University of London. His practice-based doctoral research has dealt with exhibitions as sites of research and the early history of media art in the 1960s and 1970s. One of his key concerns is knowledge transfer and he is a regular contributor to Austrian public radio ORF Oe1 in the department of science, culture and education. In June 2016 his book "New Tendencies - Art at the Threshold of the Information Revolution (1961 - 1978)" has been published at MIT Press. 4.8. 1988: "Werbung - eine Radiokunst?" 14.4. 1988: Radio Subcom - "Das etwas andere Radio"
14.9. 1989: Radio Subcom - "Media-Landscape-Europe"
23.11.1989: Radio Subcom - "In Transit. Europa Report." 28.2. 1991: Radio Subcom - "Between the Cities"
5.3. 1992: Radio Subcom - "Worldwide Report"
17.10. 1999: "Netz/Sprache - Internet-Klänge und Theorie"